Mark your calendars: It was on Sunday, July 20, that the momentum turned against Israel. Sometime around noon the wind shifted and the tide began to roll out, and Israel started to lose international sympathy for its Operation Protective Edge in Gaza. Up until Sunday morning Israel had a pretty clear field, owing to a combination of factors. For one thing, the optics. As long as Israel was responding to Hamas rockets with air strikes against Hamas targets, it looked to most observers like a fair fight. Israel’s opponents claimed there was no equivalence given the lopsided death toll. Israel’s supporters claimed the opposite: there was no equivalence because Hamas was aiming at civilians, while Israel was just trying to stop the rockets. In practice, it was a wash. Even after Israel’s ground troops entered Gaza on Thursday night, July 17, the action looked reasonably measured to most outsiders. Hamas’ network of cross-border tunnels had ceased to be a theoretical problem that morning, when a squad of terrorists emerged on the Israeli side, prepared to attack a kibbutz. Israel sent in troops for what was announced as a limited operation along the border fence to destroy the tunnels. There were no international complaints. Lots of noisy street demonstrations, but hardly a peep from the world’s governments. It didn’t hurt Israel’s case that the same Thursday saw 298 passengers killed when a Malaysian Airlines passenger was jet shot down over Ukraine, apparently by pro-Russian rebels, and 270 Syrians — soldiers, security guards and civilians — murdered execution-style by ISIS militants who had taken over a natural gas field. Gaza was just one of the world’s killing fields as the weekend approached. Most important, Israel was facing an enemy, Hamas, that was almost universally despised. Egypt, always central to Israel-Hamas mediation, had been pouring contempt on Hamas throughout the crisis. Palestinian Authority leader Mahmoud Abbas had loudly condemned attacks on Israel during the crisis, once at a June 18 meeting of Islamic foreign ministers in Saudi Arabia and again when Hamas started bombarding Israel. When Egypt’s July 14 cease-fire proposal was accepted by Israel and rejected by Hamas, the Islamist organization’s support was reduced to rogue-state Iran, Islamist Turkey and the emirate of Qatar. Qatar launched its own cease-fire initiative, which included the preconditions Hamas had demanded — freeing prisoners, opening borders, putting the Gaza-Egypt border under international supervision — but nobody endorsed it. The Arab League, led by Saudi Arabia, lined up formally behind Egypt — and by implication, Israel. The Jewish state had never had more sympathy in the Arab world for its defense needs. What happened next was something that’s happened over and over in Israel’s military operations in recent years: The government overestimated the depth of its international support and decided to broaden the scope of the operation. On Saturday night the ground campaign was expanded beyond the surgical operation that had been promised against tunnels near the fence. It became a major assault on a densely populated neighborhood of Gaza City, Sheja’iya. The neighborhood houses some of Hamas’ tunnel entries and rocket launchers. It also houses tens of thousands of civilian families. By evening the shelling and ground fighting had killed more than 80 Palestinians, including an estimated 60 civilians. The expanded fighting also began taking a serious toll on the Israeli side: 13 soldiers killed. 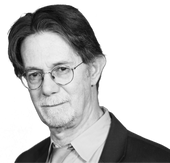 This story "As Gaza Toll Rises, So Will Pressure on Israel" was written by J.J. Goldberg. Israel’s rhetoric changed accordingly. On Friday, Defense Minister Moshe Yaalon said Israel would continue pounding Hamas until it stopped firing rockets at Israel. On Sunday morning, he told a press conference that Israel could expect “long days of fighting ahead” — even though “the lion’s share” of Hamas’ tunnels would be demolished “within two or three days” — because there were targets that “can’t be achieved in a single stroke.” No more “quiet will be met with quiet.” As Israel’s success grew, so did its appetite. That’s what happened in Lebanon in 2006 and in Gaza in Operation Cast Lead in 2009. Both ended in diplomatic disaster. Yaalon said Israel was sorry for the deaths of innocent people, but Hamas was to blame for hiding among civilians and digging its tunnels in residential neighborhoods like Sheja’iya. But the response was changing. The running room Israel had enjoyed for almost two weeks began to disappear. On Sunday morning, the venerable PLO spokeswoman Hanan Ashrawi appeared on ABC “This Week” and emotionally accused Israel of a “deliberate massacre” and “war crimes being committed before the whole world, before the eyes of the whole world.” (report and video) She said the Palestinian Authority had now decided to join the International Criminal Court, something it had vowed not to do at the time that the Kerry peace talks collapsed in April. A few hours later, the Arab League, which had supported the (Israel-backed) Egyptian cease-fire plan, declared the Sheja’iya assault a “war crime.” United Nations Secretary-General Ban Ki-moon, who was en route to Qatar to discuss the cease-fire proposals before heading to Egypt, called the new fighting “atrocious.” Abbas followed by calling it a “massacre” and declaring three days of mourning for the Palestinian dead. That evening he demanded an emergency meeting of the U.N. Security Council. The council convened following a formal request from Jordan at 10:30 p.m., prompting some grumbling from the Russian ambassador, who called it pointless. Around midnight it issued a statement expressing “serious concern” over the loss of life, demanding an immediate halt to fighting and welcoming the Egyptian cease-fire initiative. Now Israel faces a tough choice. With the U.N.’s Ban and America’s Secretary of State John Kerry both headed for Cairo on Monday to hammer out a cease-fire, the long days of fighting Yaalon predicted yesterday will come at a growing cost to Israel’s international image. The cease-fire being discussed in Cairo today is the one that Israel embraced last week. But that was before Israel expanded its war goals from ending the rocket fire to eliminating the tunnels and now eliminating Hamas military infrastructure. The sympathy Israel won because of the kidnapping and shelling is melting before our eyes. Until the weekend, protests of Israel’s actions were limited to street demonstrations by leftists and Muslims in various cities around the world, with almost no governmental backing. Now governments are starting to switch sides. Time will be of the essence. A quick cease-fire will leave much of the Hamas military structure intact. Israel will press hard for the document to include some language requiring a disarming of the terrorist organization. But Hamas will press just as hard for freedom of action, for open borders that allow it to rearm and rebuild its tunnels. If it doesn’t get it, it can keep on shooting, knowing that the longer it shoots, the more Palestinians will die from Israeli bullets and the more isolated Israel will become as a result. Many Israelis will argue in the next few days that the mounting international criticism is hypocritical, that Israel has a right to defend itself and that the fast growing civilian toll is entirely Hamas’ fault. Whatever the merits of the arguments, they have lost their audience. It’s only a matter of time before the next Goldstone committee is convened. Those who say the condemnations of the world community are meaningless will be the first to scream bloody murder when those condemnations show up again in official reports.